If you haven’t noticed, drones have become the next biggest thing for aerial photography, selfies and overall flying fun! And one of the best bang for the buck units available is the DJI Phantom 3 Quadricopter Drone w/Camera. It comes in 4 distinct models, from the Standard, the Professional, the Advanced and the 4K. Each “Quad” comes complete with a GPS system, so you and the copter always know where it is, a high definition camera with built-in stabilization, a controller, auto-hover when you release the control sticks, and basic 25 minute flight time from the battery supplied. You attach your own smart phone to the controller and use the screen app to see everything the camera sees. It’s like watching drone TV in real time on your smart phone. Depending on which model you choose, options include GPS and GLONASS global positioning systems, a longer lasting battery, more efficient propellers, and a larger computer brain for more precise control. 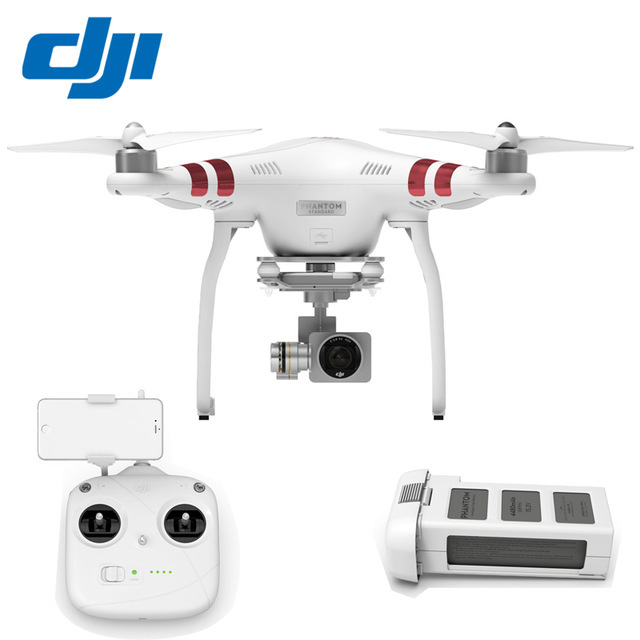 For the beginning drone flyer to the advanced drone videographer, there is a DJI Phantom 3 Quadricopter that will open up a new visual world wherever you choose to fly!